The latest in Netflix’s roster of Marvel TV show heroes, The Defenders, is almost here. Netflix’s Defenders were intended to be four: Daredevil, Luke Cage (Power Man), Jessica Jones and now Iron Fist, so we’ve finally rounded out the roster. The trailer looks underwhelming. Without some notable changes, Marvel could drop the ball on one of their more underrated characters. The show won’t be released on Netflix until March 17th, 2017, so here’s what I anticipate based on the trailers released so far, Netflix’s approach to previous shows, and the comics history of the character. In short, this one could bomb. 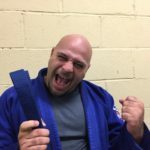 Let’s talk a little about the history, problems, and possibilities of this character. So who is Iron Fist? Iron Fist’s first appearance, in Marvel Premiere #15. 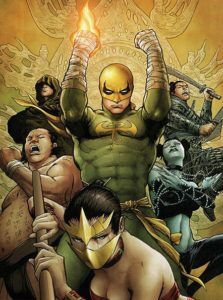 The classic Iron Fist backstory follows Danny Rand, wealthy heir of Rand Enterprises, as he returns after many years from an ill-fated trip to Asia with his mother father, and Harold Meachum, his father’s business partner. As we come to learn, Rand Sr. was murdered by Meachum on the slopes of the Himalayas, leaving young Daniel the sole survivor of the journey. Meachum alone survives to walk down out of the snow, where he is finally able to return home and assume sole control of the company. The younger Rand is rescued by monks and taken to the mystical Himalayan city of K’un Lun, to cross a bridge into the heart of Sino-American Mythology: Chinese-flavored, American-grown, very Marvel. 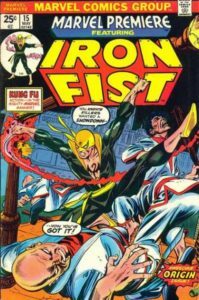 Iron Fist originally was one of Marvel’s answers to the the Kung-Fu craze of the 1970’s, along with Shiang-Chi (basically a super Bruce Lee) and a few others. There was even a Fu Manchu. Really. In the 70’s and 80’s, Luke Cage (a.k.a. Power Man) shared a shared a monthly comic with Danny Rand called Power Man and Iron Fist. PM&IF was originally written as Power Man’s title; he alone was the original Hero for Hire: a jive-talking (no, really; he actually uses the word ‘jive’ a fair deal) blaxploitation-era ex-con. In terms of the style of the period, with Cage, Marvel were really going for it, he had a black power afro and a steel headband and actually had chains as a part of his costume. 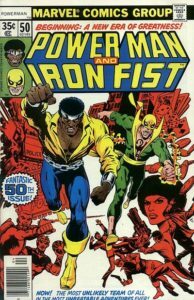 It doesn’t take a lot of imagination to assume that writers at Marvel started with a character named “Black Power Man” and just sort of worked their way backward, trimming words. He regularly assailed pimps, superpowered gang hoods with names like “Comanche” or “the Big Boss,” even slumlords with evil robots. A favorite image is of Cage punching a pimp’s leopardskin Cadillac head on, which should basically tell you everything you need to know. The battle is joined: Power Man and Iron Fist #50. 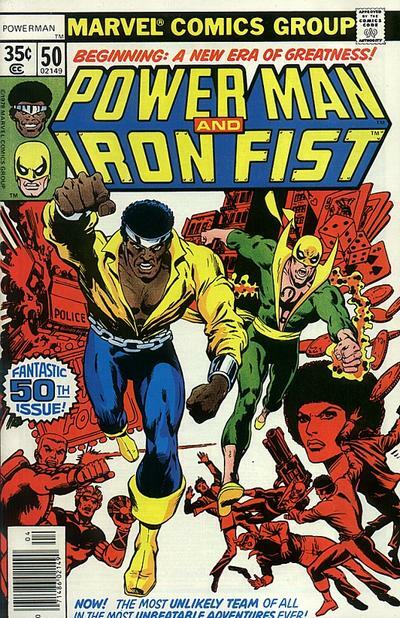 When Power Man solo couldn’t make sales targets, Iron Fist was added in to make it a buddy-title– Iron Fist himself being another C-lister of the time. Together, the thinking went, they had enough star power to carry the title. The combination of these two themes: overseasoned Kung Fu alongside urban blaxploitation swagger, and you had a pretty distinct flavor. By issue #50, they joined forces, presumably making a single, unified trope out of many lesser ones. The Heroes for Hire were unique for a couple of reasons: first, that their identities were publicly known, and second, that they charged for their services. PM&IF lasted until issue #125 issues, concluding with the third unique feature: the series ended with Iron Fist’s bizarre, friendly-fire death. I’m going to go ahead and spoil it: Iron Fist punched through a wall by a deluded loser named “Captain Hero” who was trying to wake him up from a nap and he dies. The End. If you think that sounds stupid now, imagine how unsatisfying that was to read at the time. It was absolutely inexplicable, you could feel the writers’ fatigue and frustration steaming off the page, glad to just get the whole thing over with. I came to PM&IF late, just towards the end of its full run, and my impression was that it was decent, if inconsistent. By that time, the monthly stories alternated from character-to-character, as if they didn’t share the spotlight so much as pass it back-and-forth, with no real underlying continuity. 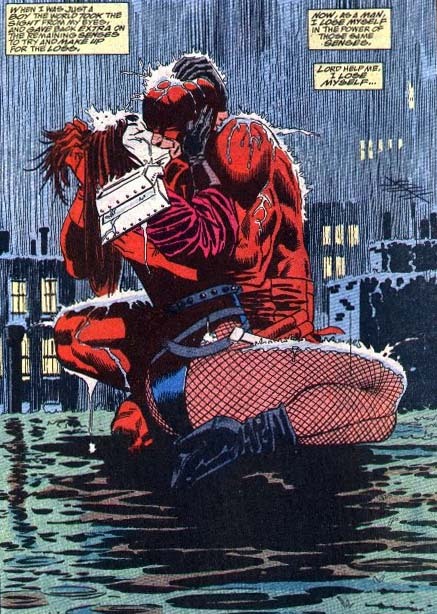 It didn’t really seem to be going anywhere, the way X-Men or Spider-Man or even Daredevil were loaded with front stories, backstories, unresolved potentials, burning revenges, collective history. On the other hand, the last two issues, #123, “Getting Ugly,” where Cage battles a racially-motivated super-serial killer and #124, where Rand single-handedly takes on the Ninja clan callled The Hand, were excellent. They caught their mojo just a few months too late. Remarkably for Marvel, Iron Fist actually stayed dead for a while. He was eventually brought back to life with some half-assed explanation that the guy who died was not the real Rand, but actually an alien impersonator. This is the standard Marvel go-to when someone dead needs to be brought back (see also: Jean Grey/Phoenix), although robots do that job from time-to-time– practically a joke where Nick Fury is concerned, he’s ‘died’ so many times, only to turn out to have been a robot. That’s actually what Marvel should have done with Nick Fury to start with. Is there anyone who doesn’t prefer the Samuel L. Jackson version? No. The solution: “I was black the whole time! That other guy was my white robot!” Meanwhile, Cage rotated in and out of the occasional super team and even had his own title at various times, moving from C-lister to B-lister. Luke Cage was Netflix’s previous show, and it performed respectably, gaining a decent buzz. The plan had always been for Iron Fist to follow, leading into the Defenders, with all of them together. A previous incarnation of the Iron Fist battles the Huns on the steppes of Asia. So, what can Iron Fist do? He is a master of the mystical martial arts of K’un L’un, a mystical city in the Chinese Himalayas. His name, the Iron Fist, is actually a conferred honorific that one attains by beating a dragon, named Shou Lou the Undying, in combat. 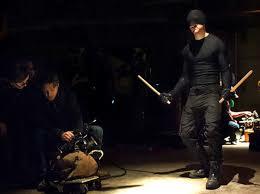 This means that the Iron Fist is a role that is earned, much like the Dread Pirate Roberts from The Princess Bride. 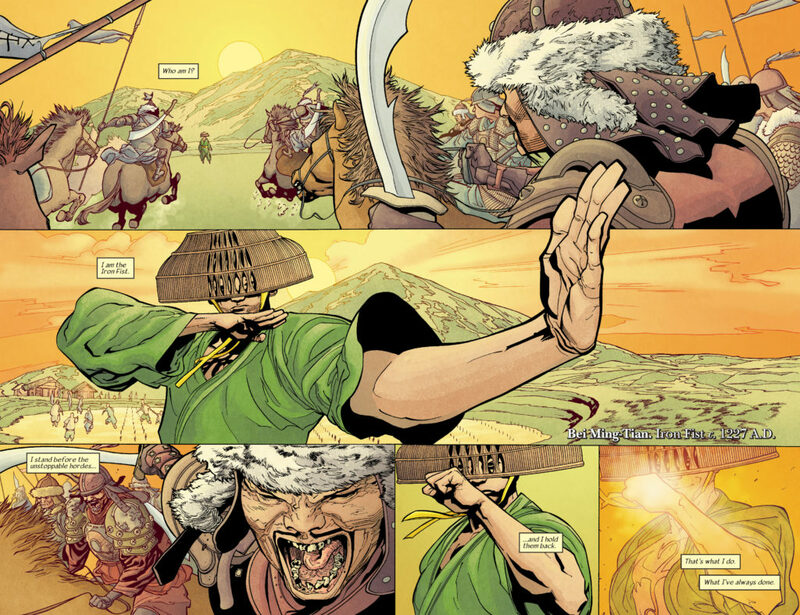 Rand is merely the latest in a long line of Iron Fists, and arguably one of the least interesting, given some of the stories of previous Iron Fists that occasionally pop-up in historical flashbacks. The Immortal Iron Fist, cover. 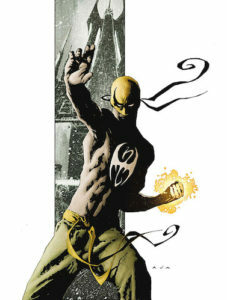 The Iron Fist has the power of the dragon Shou Lou the Undying permanently embedded in his chest. So, the thing to know here is that in any given plot-clinch moment, drawing on the Chi of this mystical creature is the sole superpower the Iron Fist possesses. It’s what brings him from unpowered-but-amazing-fighter to full-on Superhero, in league with A-Class hitters like the Avengers. Other than his ability to punch, Iron Fist is just a really well-trained guy. But he punches very, very hard. We can all see the issue that Netflix is going to run into with Iron Fist. We’ve already watched Bruce Wayne hike to the top of the Himalayas to be trained in Secret Martial Arts. We then watched him come home to try and re-take his father’s company. According to the trailer, this looks to be exactly the same storyline Iron Fist is going with. You’re telling me another white trust fund kid hiked off into the mountains to become a ninja, and we are supposed to care, well, why, exactly? How is this different, really? No pointy ears? The show isn’t out yet, but if there’s no credible, stylish and distinct answer to that question, that sound you are hearing is Netflix’s Marvel’s star finally crashing to Earth. The blogosphere was aghast to learn that Marvel was playing this one straight with no modifications to the origin or casting. This seems somewhat tone-deaf given the current social media climate, where an outrage-of-the-week seems predictable here, and the tendency of modern fans to feel they are somehow entitled to direct input into the art that will be produced for their consumption. For example, a specific request has been made: Why can’t he be Asian this time? The answer is, there’s no good reason. Sure, retrofitting existing characters into new ethnicities always feels something like a ham-handed capitulation to momentary pressure. While some on Twitter will groan, audiences do accept retrofitted characters, especially when played by real, bankable stars such as the aforementioned Mr. Jackson. However, they prefer exciting originals. Another variation can be the re-use of a name by a new entity entirely, such as John Stewart’s Green Lantern [he’s black], or Miles Morales’ Spider Man [Afro-Latino]. I’d call Kemala Khan’s Ms. Marvel [Muslim] an original, since she has a different set of powers entirely compared to the Carol Danvers Ms. Marvel, though they do share a name.) Given that we don’t have the requisite twenty years to get a new brand hammered into the public consciousness, the retrofit approach can have some merit. Here are the facts: Marvel has pitifully few leading Asian characters. It does seem like, at best, an oversight, when the character best-suited to Asian representation (Chinese, in this case) doesn’t get one. Okay, sure, Danny Rand is white. Danny Rand has always been white– that was the whole point of the black-white superhero buddy team. But in 2017 he’s a white guy playing at Asian mythology in a field full of white guys who have already done this. Staying filial to the character as envisioned might not just be insensitive, or appropriationist, or whatever. It’s worse than that: it might be, well, kind of boring. This character really needs some spice. Revised casting doesn’t sound like a terrible idea, especially if it’s someone who understands and can perform the martial arts necessary for the role. What makes Rand interesting is that he is a perpetual fish-out-of-water, neither at home in China (remember, he was in the land of the Gods: China is a place he never actually visited, Chinese a language he doesn’t speak) nor in the USA. 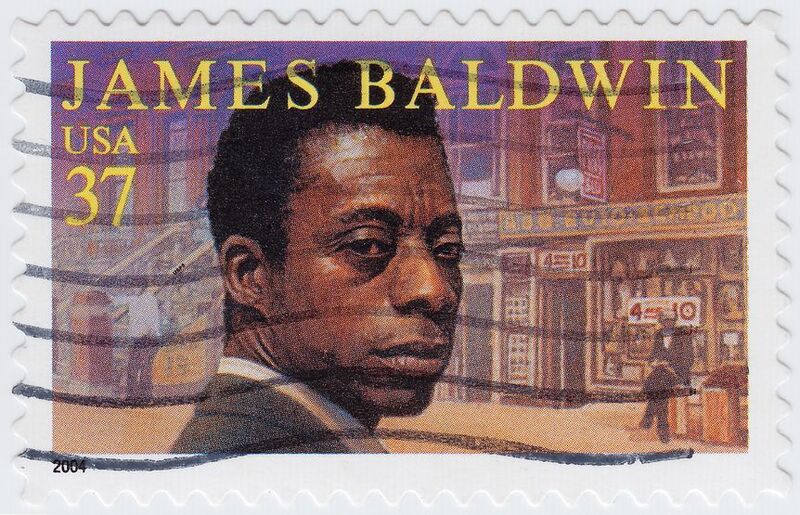 It might have been interesting to have him be half-Chinese, half Anglo-American. Remember, his parents died when he was quite young. This offers writers the additional character-driven dimension of Rand learning to re-acculturate in both the Western and Eastern worlds, driving home the point that he’s at home in neither. This type of dimension is interesting, modern, and has something to tell us. It updates the character without changing much. 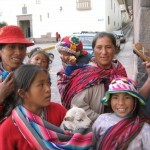 It also allows the story to achieve operatic, family drama notes. Perhaps Rand’s arrival in K’un L’un wasn’t as accidental as it seemed? Perhaps the forces of mystical China were claiming a price of their own for debts prior to Rand’s arrival, and the enemies he thought he had to face are backed by other, far older and more powerful enemies? And finally, not to put too fine a point on it, it may increase the likelihood of being able to make some money back selling the show in Asia. Secondly, I would lean heavily on the ‘Immortal’ lineage of the Iron Fist. 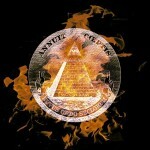 The Fist has endured for centuries and watched the decline of empires and colonies. He’s battled Huns on the steppes of Asia, gangsters in the alleyways of 1920’s Hong Kong and the Japanese invaders in WWII. Use this. 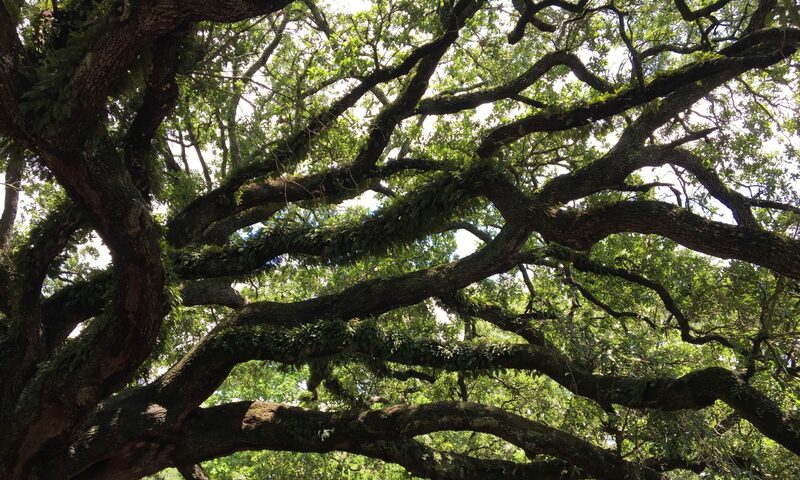 Bring in other stories, flashbacks, interweaved stories, places and times. 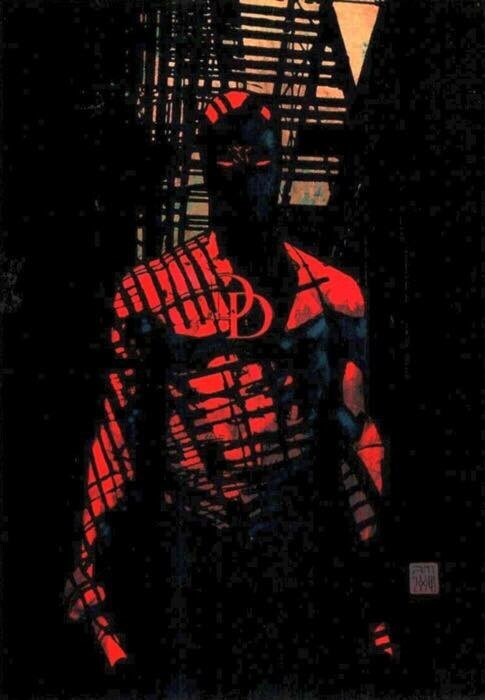 This is, stylistically, incredibly rich territory to be able to mine, unique and distinct from Batman, Daredevil, or Cage, and also allows for a number of other interesting characters to be seeded. Nothing shown in any of the press or video suggests they’ve taken on anything like this. I’m guessing that this was too deep, too expensive and too far afield of the prime directive at this point, which is “set up The Defenders.” Too bad. Season two? The Immortal Weapons of K’un L’un. Finally, and this is something I expect to see a lot of– issue #124 with him taking on the Hand solo comes to mind as classic, perfect Iron Fist– we will need fantastic mystical kung-fu battles. Wildly-dressed antagonists with bizarre names like “Mother of Spiders,” “Crane Mother,” “Tiger’s Beautiful Daughter,” and so on. Mystical allies like “Lei Kung the Thunderer.” Alternate dimensions and martial arts tournaments. Elaborately named, quasi-magical Kung Fu moves should be expected, as well as bright costumes and superhuman enemies. But as far as the trailers go, this isn’t what I’m seeing. More regularly-dressed people walking the streets of New York city. Once again, Netflix is playing it too realistic and bleaching out the elements that made the property fun in the first place. Where are the armies of Ninjas? Reminder: this is a guy who got his powers by beating a dragon in hand-to-hand combat. This should feel like a world that at least has dragons in it. It doesn’t. 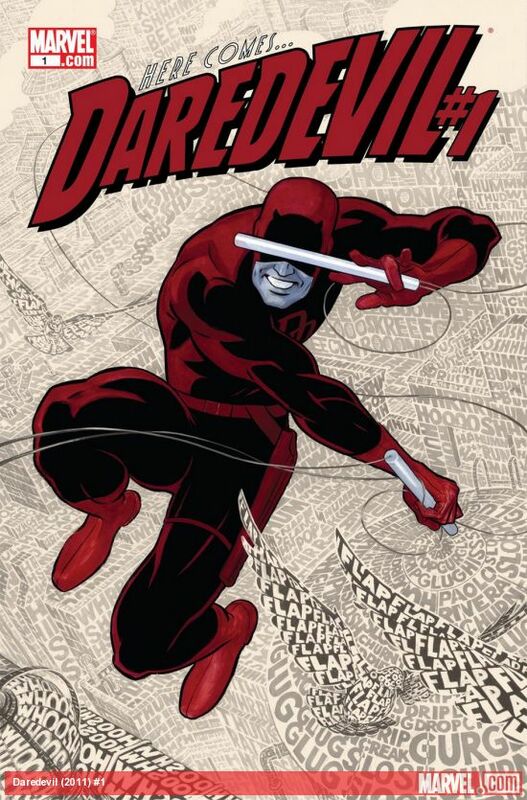 I’ve argued a similar case for Daredevil, which needs aerial, rooftop parkour battle as one of its essential flavors. Iron Fist is a little different: picture Iron Monkey plus Crouching Tiger Hidden Dragon plus Mortal Kombat plus Big Trouble in Little China. It shouldn’t take itself too seriously, or get too dark. Marvel’s K’un L’un is to China the way Marvel’s Asgard is to Norway. That is, no relation. 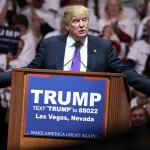 Long on spectacle, if short on truth. 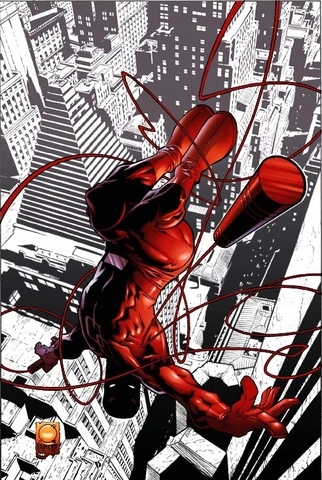 Daredevil was streetbound superheroics. Jessica Jones is the woman on the trail of a mystery from her past. Luke Cage is the protector of the streets. Iron Fist has to be magic, has to bring something new. If they can pay these elements out, the show may be something special indeed. If not, well, we’ll finally know what peak super hero looks like.